Snow & Ice Removal | Emergency Services | Homestead Roofing Co.
Winter weather can wreak havoc on your roof. Even though roofs are designed to carry a substantial weight load, heavy and drifting snow and ice is never a good idea to leave untouched on your rooftop. When it comes to how much snow and ice your roof can handle there is no set rule as every home and commercial building is built, designed and insulated differently. 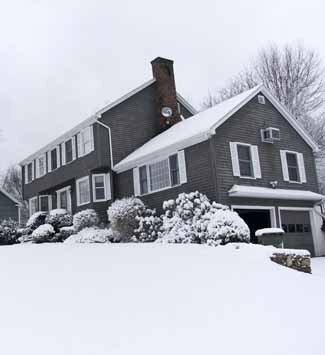 Rooftops that are older, have had problems in the past, or are flat should be more of a concern for snow accumulation. 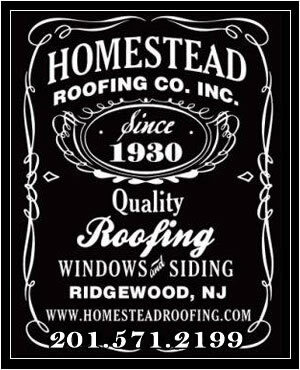 Homestead Roofing offers rooftop snow and ice removal in Bergen County and Passaic County during the winter months on a contractual, as needed, or emergency basis. We have the right experience, know-how, and equipment to safely and quickly resolve your rooftop snow concerns. All the reasons listed above are solid reasons to remove snow and ice build-up on your residential or commercial roof. But trying to free your roof of ice and snow yourself is dangerous. Slippery, icy and windy conditions make climbing on your roof hazardous. And flimsy “snow rakes” simply can’t reach high enough to do any good. At Homestead Roofing we provide professional snow and ice cleaning for roofs of all types. Our team is experienced in safely and efficiently removing snow and ice dams on any type of roofing in Bergen County and Passaic County, NJ. We’ll work quickly and safely to remove damaging packed snow and crusty ice so that your roof can do the job it was designed for: protecting your home from the elements. Regardless of the amount of snow on your roof, it is ideal to keep your roof as snow-free as possible to prevent the formation of ice dams. Ice dams can’t form without snow so by removing snow accumulation on your roof you are preventing ice dams from forming and causing leaking and other damage to your roof. But a good rule of thumb when it comes to knowing when you need to get serious about removing snow from your roof is that one square-foot of snow that’s one-inch in-depth weighs about a pound. If your roof has 12 inches of snow on it that could easily amount to thousands of pounds of stress on your roof. This doesn’t even factor in the weight of any ice dams that may form as a result of leaving the snow on your roof. Just a single cubic foot of ice weighs 57 pounds and a typical ice dam can weigh thousands of pounds. Minimizing the stress on your roof is a great way to minimize the risk of roof leaks, cave-ins (the latter of which occur more frequently than you might think) and other roof damage due to snow and ice accumulation. 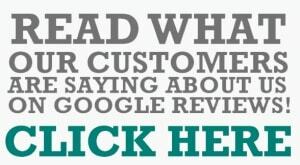 If you think your roof might be at risk of snow and ice damage call us at (201) 444-2233 to schedule your free estimate. We provide professional winter roofing services in Bergen County, Passaic County and Morris County in NJ.